When I got my first apartment my mom and I found an entire set of unused, gorgeous black dishes for $40 at a resale shop. I have lovingly used them ever since. A couple of years ago, during a hurried move, a box broke open and almost all of the salad plates, bowls, and mugs were broken. 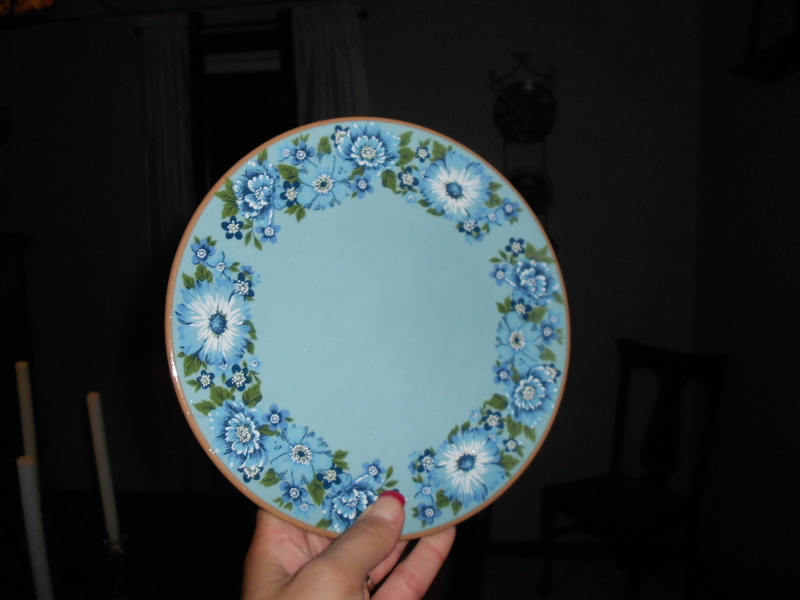 Fortunately, all of the dinner plates pulled through. But, I have been on the hunt for some fun dishes to mix with the black plates ever since. 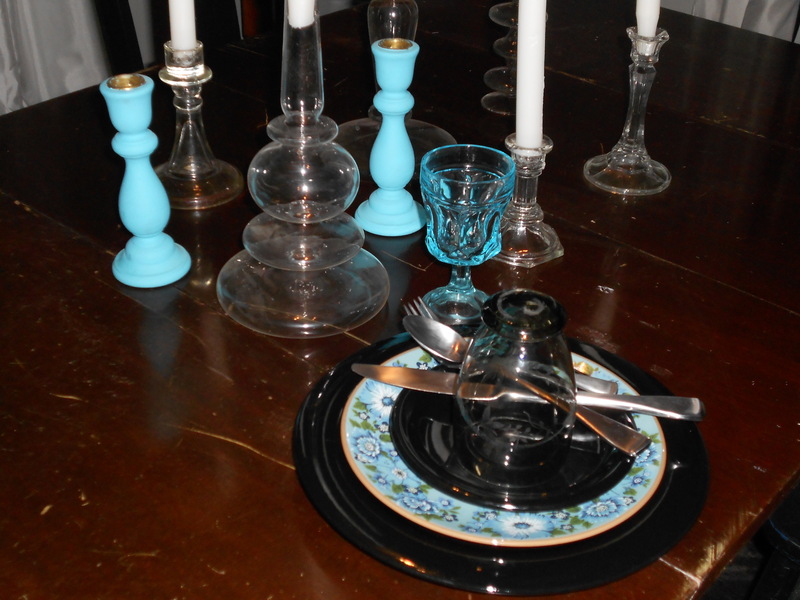 The blue glasses are from a flea market and the black charcoal glasses were given to me by my grandfather and came from Germany. 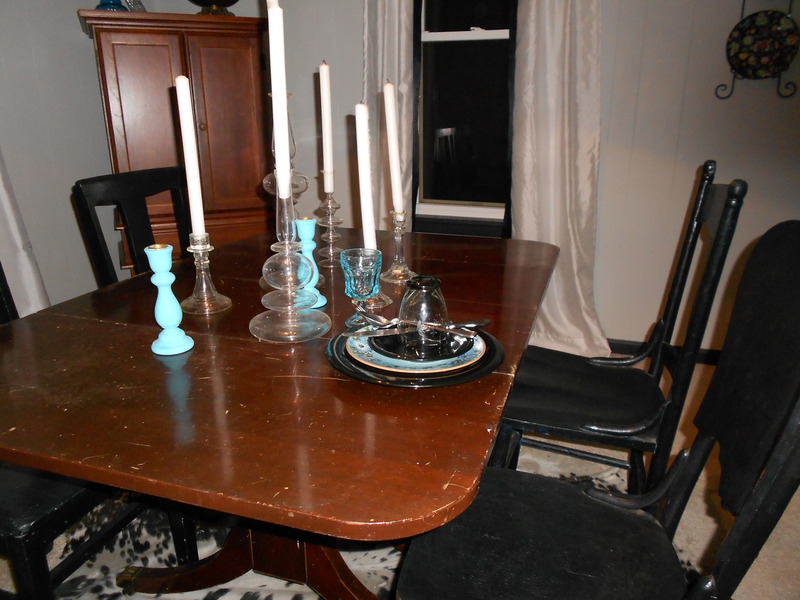 The candlesticks are a mix of vintage and CB2, and my silverware is all new Oneida. I really like how it all mixed together. 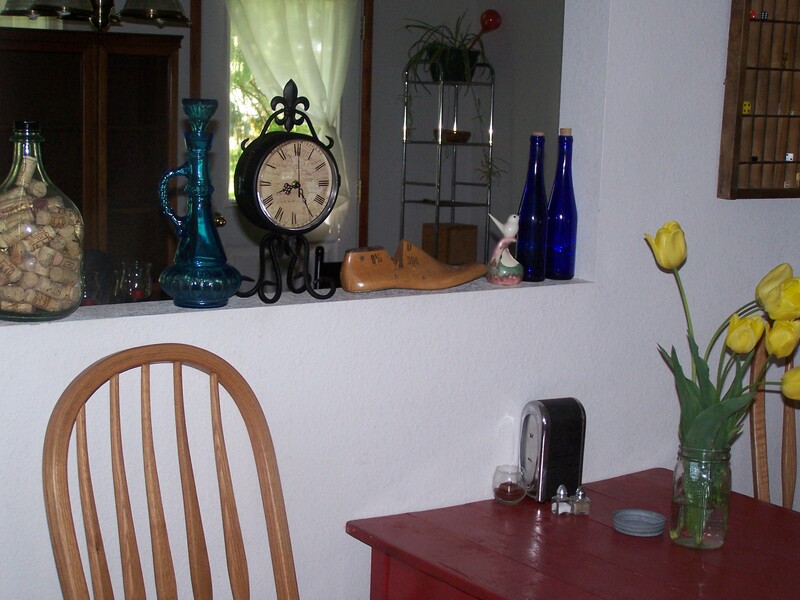 Although, these photos remind me how I can’t wait to refinish the dining table! What do you think? For a couple of dollars each I got these adorable red vintage Pyrex dishes. 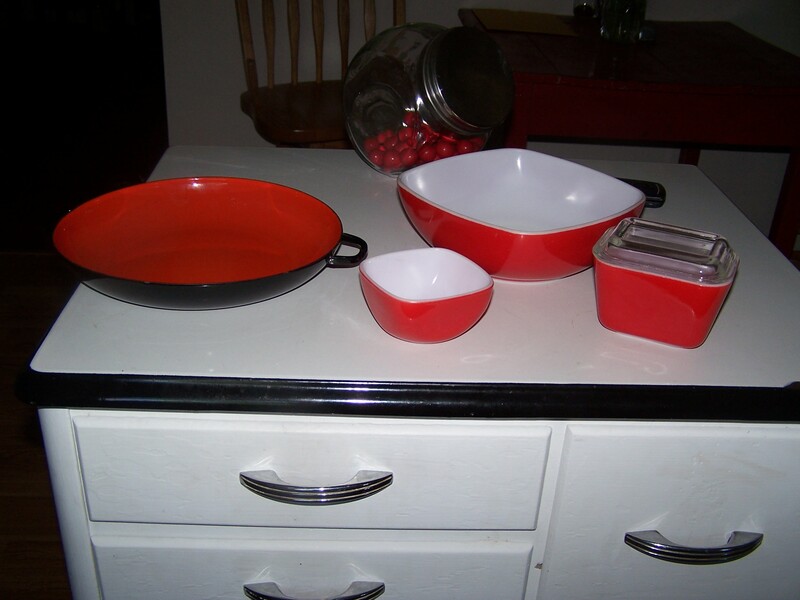 I love any red cookware, especially Pyrex. They are so versatile, most of all the ones with the lids! The other metal dish is an Italian hot pan. I thought it was not only pretty but would also come in handy for fajita night! 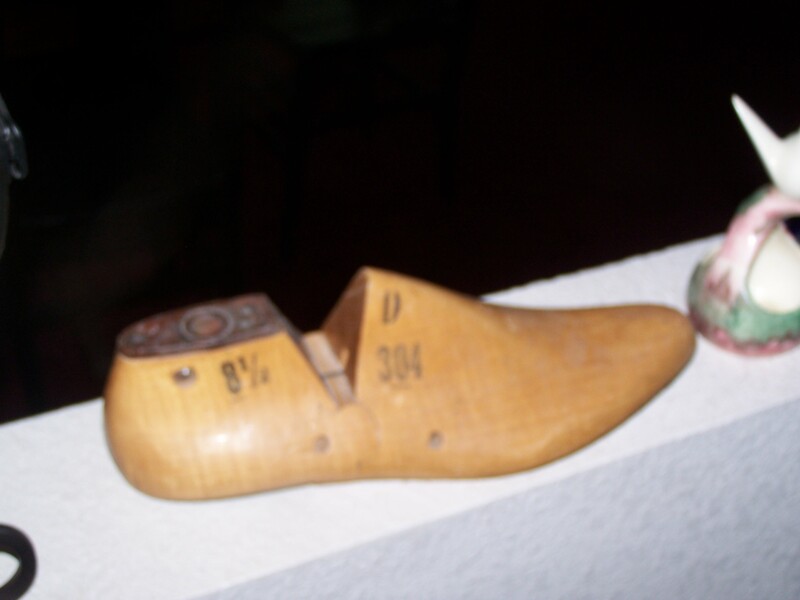 I know the picture is a bit fuzzy, but I just loved this vintage wooden shoe mold. I couldn’t resist its funkiness.